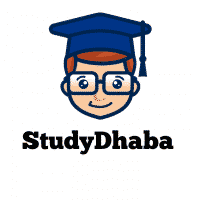 SBI Online Application – SBI Online Application – How To fill SBI PO online application Form – Hello Friends Welcome to studydhaba.com . As you know SBI Po 2018 notification was released Recently By SBI . There Are More than 2000 vacancies this year for SBI PO. SBI PO vacancies are Divided on the basis of categories . There are More than 2000 vacancies this year . Step 3 – Click on ‘Click here for New Registration’ to register yourself. Admission to Online test (Preliminary & Main) will be purely provisional without verification of documents. Ineligible candidates will not be allowed for interview. In case at any stage the candidate is found not to fulfil the eligibility criteria/ cannot produce the requisite documents to Bank the candidature of the candidate will stand cancelled. Name of the Candidate, Category, Date of Birth, Address, Mobile Number, Email ID, Centre of Examination etc. will be considered as final and no change/modifications will be allowed after submission of the online application form. Candidates are hence requested to fill in the online application form with the utmost care as no correspondence regarding change of details will be entertained. Bank will not be responsible for any consequences arising out of furnishing of incorrect and incomplete details in the application or omission to provide the required details in the application form. Not more than one application should be submitted by a candidate. In case of multiple applications, only the last valid (completed) application will be retained and the application fee / intimation charges paid for the other registrations will stand forfeited. Multiple attendance/ appearance by a candidate in examination and/ interview will be summarily rejected/ candidature cancelled.